If you're looking for the original resolutions check-in blog post with the Rafflecopter giveaway and Linky party, click here. As promised, here's my own second quarter check-in! 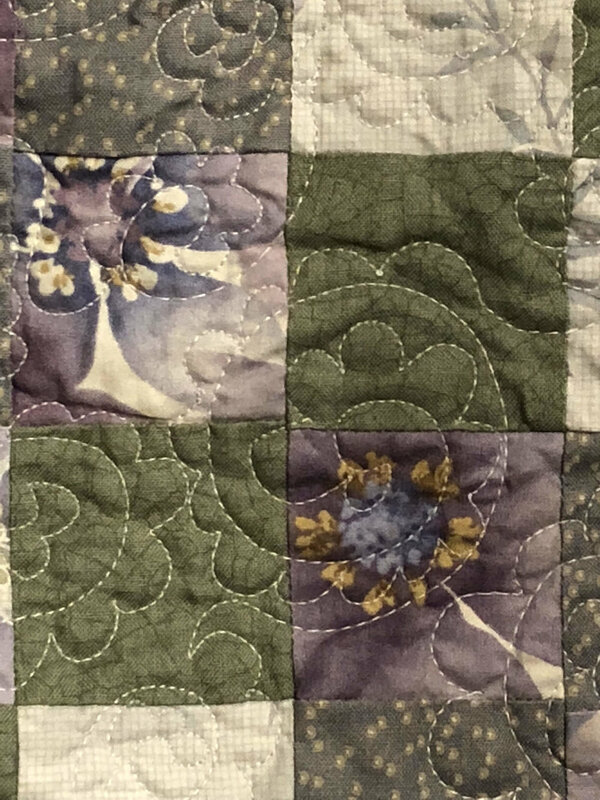 Craftsy classes--My goal is to complete as many of the Craftsy classes I own as possible, without adding more than I'm finishing. I don't have specific numbers attached to this, but I want to end 2014 with far fewer classes in total than when 2014 began. A single-digit list would be nice. Stash--My plan was to stay focused on using stash whenever possible. I didn't set specific goals about yardage amounts--I just wanted to stay conscious of it. As with the Craftsy classes, I basically just wanted to end 2014 with less total yardage on my shelves than I began--more out than in. 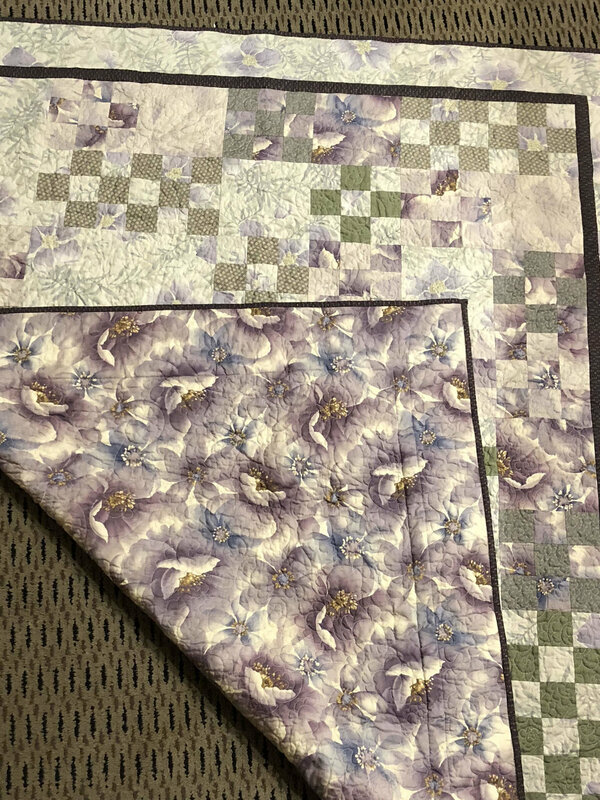 Machine quilting--I wanted to be more confident and competent in machine quilting in general by the end of 2014, as well as being more on the ball about sending stuff out to longarmers if (1) it was just too big for me want to tackle it on a domestic or (2) I just needed to get 'er done. 1. Craftsy classes--Woohoo! I'm going great guns on this one! Since January I've completed 13 classes altogether. I've only added three, but one of those I also immediately finished. So, in all, I'm seriously ahead of the game! And I'm not just blasting through watching the videos without paying attention, either. I've been taking video notes, intentionally asking a question or posting a comment in every class just to make sure I'm staying engaged, and usually doing the class project or practicing the techniques each lesson teaches. I feel really good about where I'm at with this, and looking forward to what I'll be learning next. 2. Stash--Without tracking on a spreadsheet I can't give exact figures. But I'm pretty confident that from one perspective I'm ahead on this one too. I've bought very little new commercial fabric--if any--since January, except for what I needed for borders, backing, or binding; even those I was able to often take straight from stash. The only fabric I've added to my stash other than that is all my own hand-dyes, which I don't entirely count because it's a whole different category, isn't it? I prefer to think so, anyway. I'm not buying a fabric I don't immediately need just because it's pretty anymore--I'm creating pretty fabric instead! Anyway, that's my story and I'm sticking to it. 3. Machine quilting--See #1. 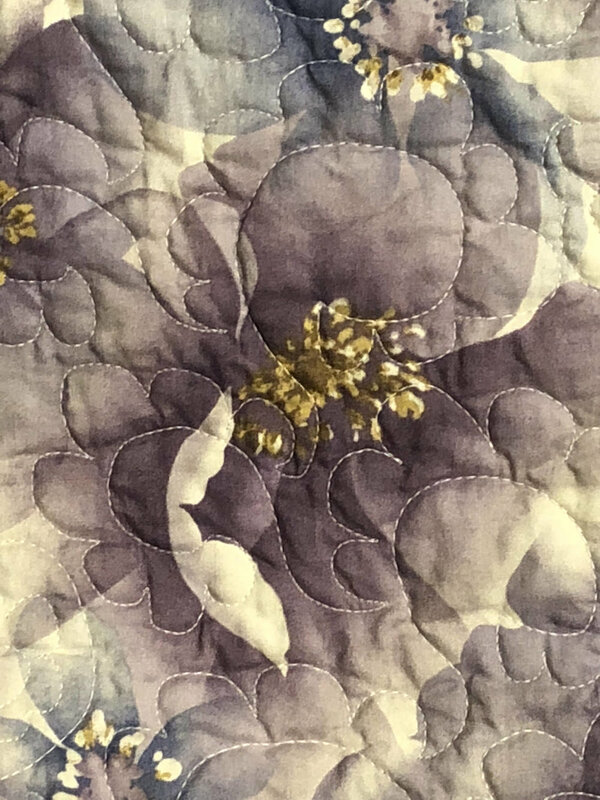 Due to having now done several of my Craftsy classes on machine quilting, I'm feeling a whole lot more confident, if still not exactly competent. My quilting is still...ummm..whimsical, but I more easily sit down at the machine to try. I panic less about "ruining" my project with my quilting and am far more able to just get over myself and get on with it. And there are some designs I've gotten better at. It's just a matter of practicing even more. 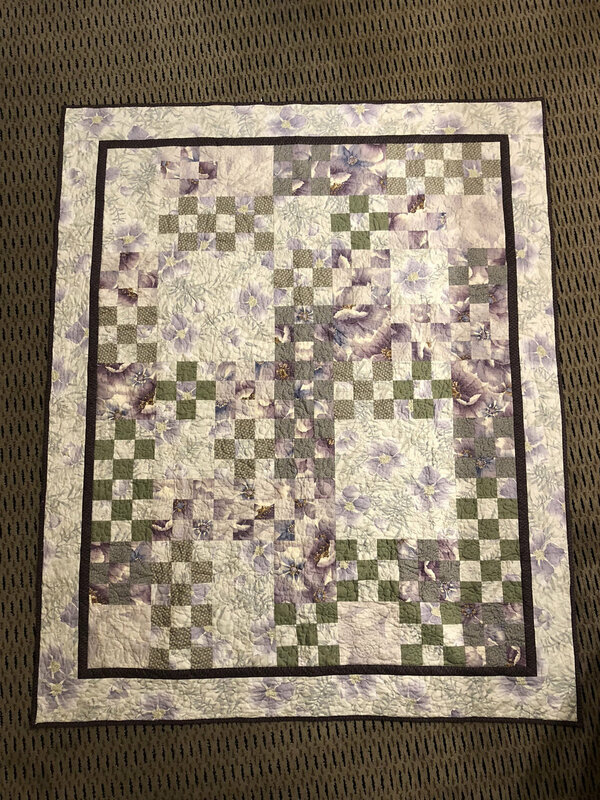 Given the number of machine quilting classes I still have left in my Craftsy account, I'll be getting plenty more practice! So, there it is--my second quarter (halfway point!) check-in on my 2014 quilty resolutions. Be sure you check in with your own to enter my giveaway and linky party!